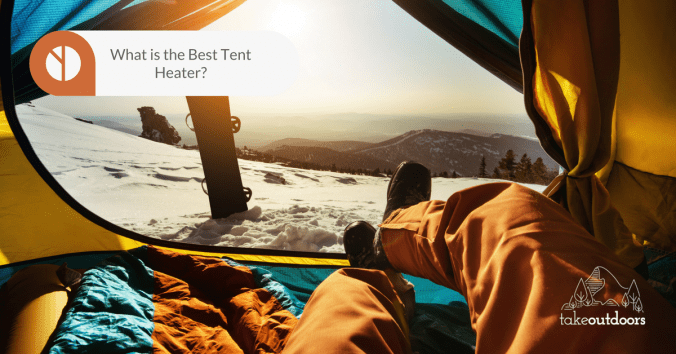 What are the Best Tent Heaters? When it comes to keeping your tent warm while camping, there are several solutions. Sometimes a campfire alone is just not enough. With the warmth coming from the heater, your winter camping experience will definitely be more comfortable. However, it can be hard to select the proper heater with so many options on the market. 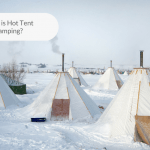 So this is why we want to help you to decide for the best tent heater in this article. Electric heaters offer great energy efficiency but may cost more to run than a gas unit. One advantage they have over a gas unit is their ability to be used in closed spaces. They do not require venting and can be used without worry of carbon monoxide. They are often lighter and easier to carry, as the fuel of a gas unit adds to the weight. 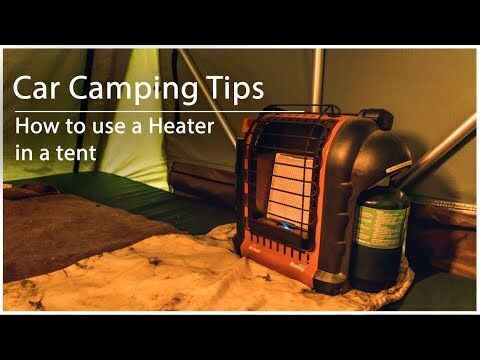 An electric heater may take much longer to warm up your tent. There are also potential problems in the event of a power outage. These tend to happen at the worst possible times during rough weather. If one should happen at your campsite, an electric-heat source will leave you at the mercy of the elements. Gas heaters can cost much less to operate unless the campsite offers free electrical hookup and power consumption. They normally cost more than an electric unit for the initial purchase. A gas heater will heat up your tent much faster, but always requires good ventilation for safe use. They can be a bit more noisy than electric, but you will never need to worry about power outages. Once you select a heater, it is important to know how to use it safely. Always read the manual included with your heater. Manufacturers will include any safety measures and precautions that apply to your specific model. Only use the heater in the way it was designed to be used. For electric heaters, you should always plug them directly into an outlet. If you absolutely must use an extension cord, use a newer one. Choose a heavy-duty model that is made specifically for outdoor use. Be sure to keep all flammable objects away from the heater. Keep all objects away that may prevent proper airflow. It is a good idea to turn the fan on and let it run awhile before turning on the full heat. This will blow away any dust or debris that may have built up on your heater. Do not store liquids or sit drinks near the heater. As with any electrical appliance, spilling liquids on them can cause an electrical fire. If you bring children or pets with you on your camping trip, take care to keep them away from the heater. It is a good idea to only buy electric heaters with a tip-over switch. This will shut off the heater automatically if it is accidentally knocked over. Another good safety feature to look for is an overheat protector that will shut off the heater if it gets too hot. For gas heaters, the unit should be placed outside. There is always a danger of carbon monoxide build-up when used in an enclosed space. Make sure that the tent has good ventilation. Always read the safety precautions in your owner’s manual to see the correct way to use your gas heater. Many models have a pipe system to channel the heat into your tent. Gas heaters are meant to heat up your living space before you fall asleep. Most of them would run out of fuel if used continuously through the night. By only using them while someone is awake, you can prevent potential accidents that may lead to a fire. 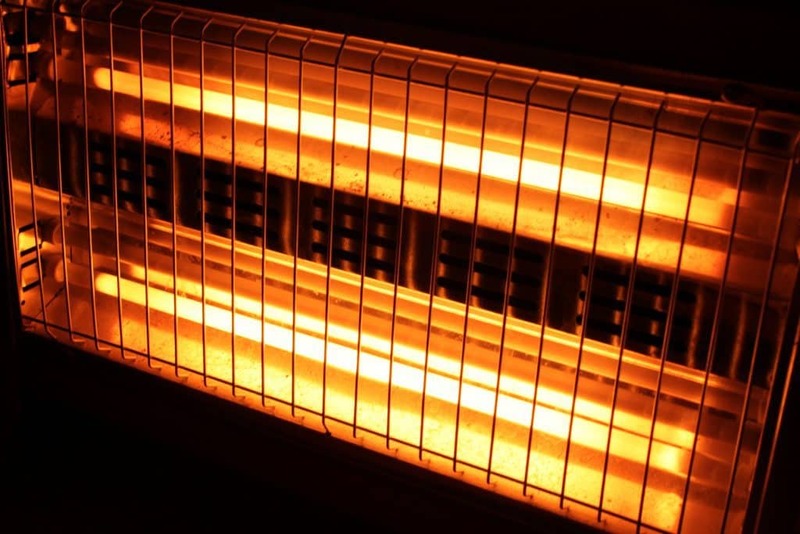 The U.S. Department of Energy has some useful information on heater safety. This is geared more towards home-use heaters but is applicable to portable and tent heaters as well. This can be found (here). The first thing to think about is your budget. Try to select the best heater that you can afford. Higher-quality heaters are usually safer heaters. 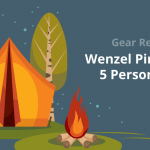 Decide on the type of camping you will be using it for. If you are camping in an RV or a park with electricity, an electric heater may be best for you. If you are going deep into the wilderness, a gas unit is your only real choice. Look for standard safety features. Features that shut down the heater when it’s tipped over or overheats are crucial. Figure out the size of the tent you will use and buy a heater that will fit the tent. Pay attention to the thermal output ratings of the models and be sure to get one that’s powerful enough for the temperatures you expect to use it in. It may be helpful to check out Consumer Reports buying guide to selecting a portable heater on their (website). The Zodi Outback is the most powerful heater on our list. It puts out an impressive 40,000 BTUs. This is a propane-gas heater that uses a five-gallon tank for fuel. It also requires the use of a 12-volt battery to power the fan. The Zodi Outback is 13 x 13 x 22 inches and weighs around 34 pounds. It has an all-metal construction and should stand up to a lot of abuse. The construction feels solid and the whole unit seems very sturdy. The Zodi Outback has two metal vent pipes. The pipes act as air hoses to circulate warm air into the tent. The main unit is only to be used outside of the tent, in an open, well-ventilated area. This heater can easily warm a space of 1000 square feet. The 5 gallon tank can keep it going for 7-8 hours. Most gas heaters require you to be awake while in use, but this model is an exception to that rule. Due to the safety and power of the unit, this heater may be best for large families. It provides safety for your kids and enough power to heat a family-sized shelter. It is the most expensive model on our list, so keep this in mind. If you plan on camping in small numbers, there may be better choices. This heater is the least expensive on our list. It is an excellent budget buy for those who camp alone or with a partner in a small tent. It must be used outside the tent and not while sleeping. The small size and light weight make is a good choice for backpackers who wish to travel light. This model has a heat output of up to 2890 BTUs. It is rather small and uses 16.4 oz or 14.1 oz propane tanks for fuel. The tanks should last for about five hours. The unit size is 6 x 9 x 10.5 inches and it weighs around 3 pounds. The heater has an automatic shutoff to prevent overheating and fires when tipped over. The Stansport portable outdoor heater is another good, cheaper choice for those on a budget. As the name suggests, it should only be used in the open and not actually inside of the tent. One of the great things about this heater is its portability. The unit only weights around 1.8 pounds and is 8.8 x 5.5 x 5.5 inches overall. It features a handy carrying handle, making it easy to take with you anywhere in or around the campsite. This heater puts out around 3100 BTUs of heat. It also has a metal dish that helps to focus the heat where you need it. Heat settings allow you to select off, low, medium or high outputs. The heater is fueled by small propane cans that weigh around 16.4 oz. This model is great for backpacking, single campers and anyone looking to travel light. Mr. Heater makes a number of good tent heaters in different price ranges and power categories. This is their most powerful model that puts out 18,000 BTUs. It is not the cheapest heater on our list, but is less expensive than many models with only half of the heating power. It can easily warm a medium to large-sized tent up to 450 square feet. You could even heat a cabin with this model. It’s a handy heater to have around even in the case of a home power outage. You can power the unit with a variety of different configurations, depending on your needs. It can be attached to two, one-pound tanks or a twenty-pound tank. It can provide heat for seven or more hours. The Big Buddy features a shut off switch in case the heater is dropped or knocked over. Another great safety feature is its oxygen sensor. If oxygen levels get too low, the unit will automatically turn off. This provides good protection against carbon monoxide fumes, but is not as safe as the Zodi Outback setup. This model from Mr. Heater offers many of the features of the larger model. Most importantly, it has all of the same safety features including the shut-off switch and oxygen detector. This Buddy model has a thermal output of 4000-9000 BTUs. If the previous model sounded good to you, but you don’t need all that power, this may be a great choice. It can easily keep a family-sized tent warm. This model is smaller and easier to transport than the Big Buddy. It also costs much less, making it a better choice for those on a budget. For most campers, it will provide more than enough power to heat your shelter. One of the only negatives is that it only has two temperature settings. This may make it difficult to get the temperature to a comfortable level. All of the models reviewed are high-quality heaters. We could easily recommend any of them depending on your personal needs. Picking a single best model is difficult because what is best for one camper may not meet the needs of another. With that said, we believe the Zodi Outback Gear X-40 Hot Vent Tent Heater is the winner of this list. It is the most expensive, but the safety features are well worth the cost. While the Mr. Heater models offer great safety features, there is still the risk of carbon monoxide poisoning and catching fire when the heaters are placed inside the tent. In this article, we look at safety as the most important factor when buying a tent heater. The ability to place the Zodi outside the tent and still warm the interior of the tent makes it the winner of this category and one of the best tent heaters. The Zodi is also the most powerful heater we reviewed. This makes it suitable from almost any camping situation. 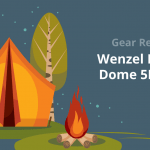 What are the Best Instant Tents for Camping? What are the Best Hibachi Grills for Camping? 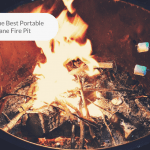 What is the Best Portable Propane Fire Pit?